Welcome to the personal site of Derrick Duehren. Although I graduated from the University of Portland in December 2013 with an MBA degree, I am now retired and working part-time with my wife, Jeannine, to manage and maintain our 31-unit apartment building (www.RiverviewPlaceApartments.com), a rental house, create GuyTalk The Movie, develop our 6-acre animal-rescue farm, and travel the world. You can email me at D@Duehren.com. On 10/15/2010, I married my soul mate, Jeannine in a simple ceremony on the side of the Columbia River. 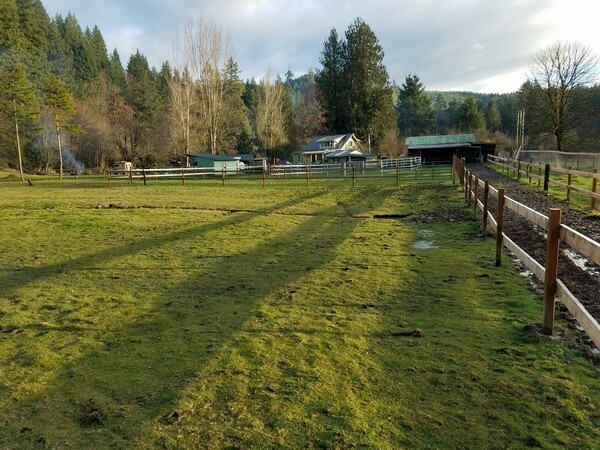 I enjoy my life with Jeannine on our 7-acre horse-rescue farm in Scappoose (above).